There are many legitimate reasons why Corey Stewart supporters should flip their support to Nick Freitas and none of them have to do with Stewart being a bad guy. 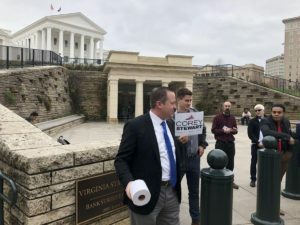 Corey Stewart has always been a tough fighter during election years, however, his style of fighting is often predicated upon theatrics, like protesting outside the RNC while the RNC attempted to help Trump win the presidency, calling Republicans “flaccid”, and bringing toilet paper to the State Capital. Worse, Stewart rarely governs the way he campaigns. His reputation is one of being a strong, tough, populist campaigner in the mold of William Jennings Bryan, and as a weak legislator who constantly caves to special interests and developers in Prince William County. The liberal media promotes his campaign theatrics because they think it hurts Republicans, but no one in the media covers how he governs, because they actually agree with Stewart most of the time. Stewart uses these theatrical tactics to gain media attention and to hammer home his populist message. Many politicians use tactics like this in order to force the liberal media to cover their less-than-liberal platforms. However, once Stewart gains the attention that he wants, he never succeeds in doing anything with it. The headlines always become about Stewart’s behavior and never about the causes he’s trying to trumpet. Meanwhile, Nick Freitas has used 100% of his media moments to bring attention to the logic, philosophies, and ideas behind the causes he represents to the public. Freitas is famous for his floor speeches in the House of Delegates. Why? Because his causes are backed by ideas that resonate with most Americans. He makes sense. When Nick Freitas speaks, people listen. Yes, we remember that it was Nick Freitas who was speaking, but the media coverage is always about what he was speaking about. Nick Freitas is the only Republican running for Senate with the ability to compete on the battlefield of ideas, facts, and political philosophy. Believe me, Senator Tim Kaine is going to bring a bunch of rhetorical philosophy with him to the table. To win, we need a candidate that can offer more than personal insults and campaign theatrics. We need a candidate who can compete intellectually. We need a candidate that can not only tell Virginians that Kaine is wrong, but explain why he is wrong, and offer an objective, fact-based alternative to the status quo. Senators Mike Lee and Rand Paul have already endorsed Nick Freitas. No one in the US Senate has endorsed Corey Stewart. Freitas also has support from most of Donald Trump’s campaign brain-trust. Stewart burned those bridges with his theatrics. There is no one who was a bigger Trump Supporter than Corey Stewart, however, as usual, Corey Stewart made Trump’s election all about Corey Stewart. This hurt Trump in Virginia and helped Hillary Clinton secure a crushing victory in the Commonwealth. We need a candidate that will have conservative allies in the Senate on day one and who can earn the trust of his fellow Senators. There is enough egoism in the US Senate. We don’t need anymore self-promoters. We need work-horses and strategists and folks capable of building and expanding coalitions. 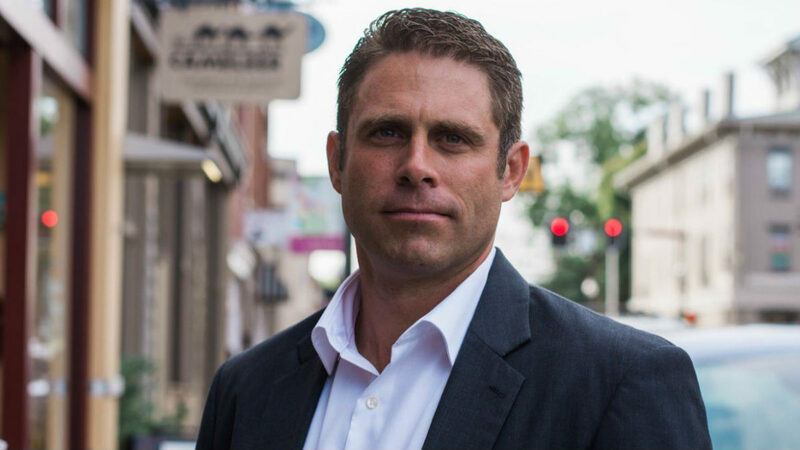 The only candidate running for Senate in Virginia that gives us that is Nick Freitas. In almost every area that Corey Stewart supporters are passionate about, from illegal immigration to preserving the Commonwealth’s history, Nick Freitas has a proven legislative record demonstrating his trustworthiness. Corey Stewart has drawn a lot of attention to a lot of issues, but he has done next to nothing to actually promote or secure legislation on behalf of the issues his supporters care most deeply about. Freitas also has a more conservative voting record. Corey Stewart has a record of rapid tax increases, while Freitas has a record of consistently voting against increased spending and higher taxes. Do You Support Corey Stewart, or His Agenda? If you support Corey Stewart’s agenda, then I know exactly how you are going to vote tomorrow. You’re going to vote for Nick Freitas. If, however, this is all about supporting Corey Stewart the man, his personality, his theatrics, and his populist polemic, then I’m quite certain you’ll vote for Corey Stewart, because that’s the only reason why anyone actually would. I hope that on June 12th, 100% of Corey Stewart’s supporters would put policy ahead of personality. If you support Corey Stewart’s agenda, vote Nick Freitas on Tuesday. Corey Stewart has always placed himself ahead of his own agenda. Don’t let that agenda get lost behind political theatrics and the pursuit of popularity. Instead, see that agenda find legislative success by sending Nick Freitas to Washington D.C. to join a growing conservative, liberty-minded caucus that would then be large enough to stop the sprawl of government and the trampling of our Constitutional Rights! 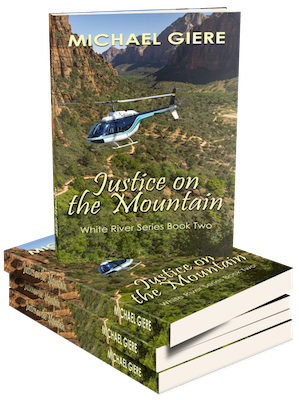 Steven Brodie Tucker graduated with a degree in the art of Philosophy from Virginia Polytechnic Institute and State University, later studying economics and political science at George Mason. in 2017, he earned his M.A. in Public Policy Administration. Steven Brodie Tucker is a member of the Caroline County Republican Party and an activist for Constitutional and Republican principles.